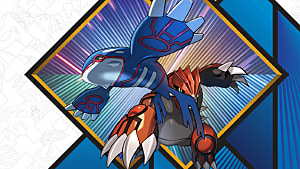 Pokemon is a series which appeals to people of all ages. 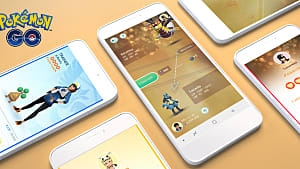 However, even with the world-wide phenomenon that was the first month of Pokemon GO's existence, the franchise's target demographic is still young boys. Perhaps that's what makes it so interesting that romance has played such a large role in the series' history. Since the earliest days of the franchise, romance has been in the air. 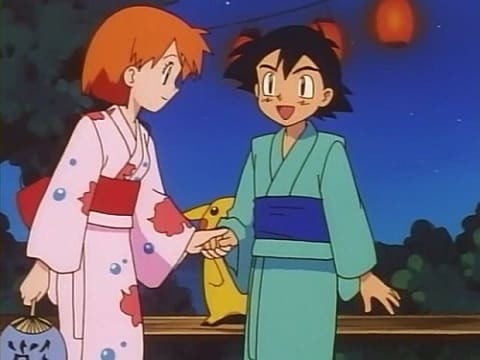 Before many kids even knew what shipping was, they were shipping Ash and Misty from the Pokemon anime. So, with many of us thinking about love this time of year, I thought it would be fun to look over some of the franchise's canon relationships, and even some popular ships. 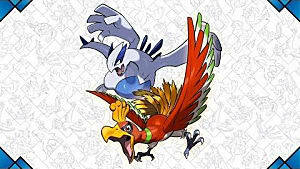 The original Poke-ship. 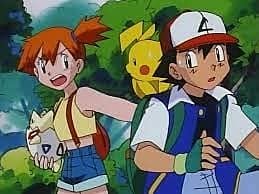 Ash Ketchum, the eternally 10-year-old protagonist of the anime, has had many traveling companions through the course of over 900 episodes, but its hard to argue that any are more beloved than his first friend, Misty (or maybe Brock). 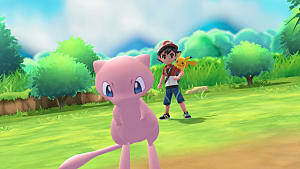 While Ash has gotten emotionally close with all of his female companions, Misty is one of only two for which there is any evidence at all that there were romantic feelings between the two. 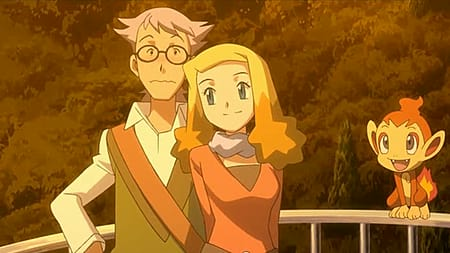 It's well known that the two were always very passionate with each other in the anime itself, and in the English dub of the movie, Jirachi: Wish Maker, the way Ash talks about Misty during a brief interaction with Max has a very strong romantic connotation. However, the biggest fuel for Pokeshippers came in the movie, Pokemon 2000. 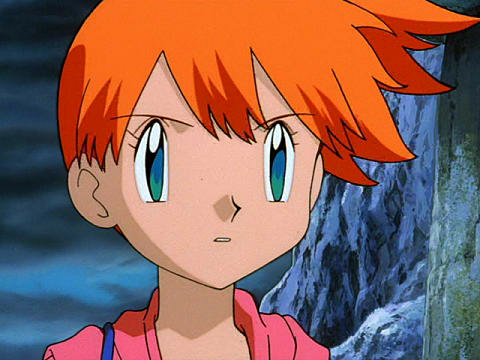 Throughout the film, there's a subplot about one-shot character Melody being interested in Ash, and thinking that she's making Misty jealous. This leads to Misty repeatedly proclaiming that Ash is her friend, but not her boyfriend. While in real life, we could go by Misty's word, in the realm of fiction, when someone says that a character is just a friend, it means that they have secret feelings about them. On top of that, the two have a plethora of intimate moments throughout the movie. Whether or not their feelings were romantic, Ash and Misty clearly loved each other. That's something we can all appreciate. Yeah, Ash and Serena kissed. I don't care that it happened in Serena's last appearance. I don't care that we didn't even get to see the kiss itself. I don't even care that the relationship will likely never be referenced again. 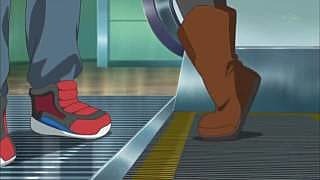 And, while it would have been interesting to spend a season with Ash and Serena as a couple, what we got was still rather sweet. While Ash and Misty developed a real bond -- whether romantic or not -- the relationship between Ash and Serena was more like puppy love. The two met as kids, instantly taking a liking to each other. 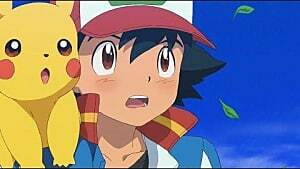 And, while Ash moved on from their brief encounter, Serena never got over everyone's favorite Pokemon Master (HA!). Once the two met up again, they develop a very sweet and genuine connection. Serena didn't have the fiery temper of Misty, the drive of May or Dawn, or the hair of Iris (DID Iris have a personality?). No, in Serena, we got a schoolgirl with a crush. While definitely a departure from the strong personalities of the previous female companions, not including Iris, Serena and Ash still had a lot of great moments together. After all the build up we got what was, quite frankly, a really touching farewell. Continuity is a funny thing. Sometimes, it allows for really clever references, or even interesting plot developments. 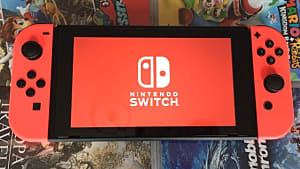 However, it can also cause some problems. 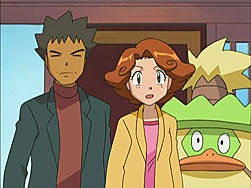 In the case of Pokemon, there's the problem of Brock's parents. When Brock was first introduced in the anime, he was taking care of an abundance of siblings all by himself. This was because his father, Flint, was a deadbeat and a failed Pokemon trainer, and in the English dub, his mom, Lola, had passed away. Now, in the original Japanese, it's just said that she left Flint. However, either way, it makes it pretty odd to see the two of them as a loving couple later on in the series. So, ignoring this instance of inconsistency on the part of the writers, we're left with two different versions of this couple. There's the horribly dysfunctional couple consisting of a selfish deadbeat and an uncaring mother... and then there's the boring "lovey dovey" couple. For being more interesting and (sadly) more realistic, I prefer the darker version of these characters' relationship. I may not like the idea of Ash having a romantic relationship with Latias, but that doesn't mean I have a problem with Pokemon getting it on with each other. 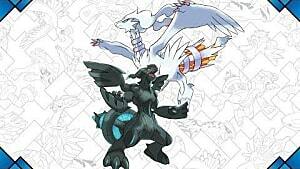 After all, where would the series be without breeding? 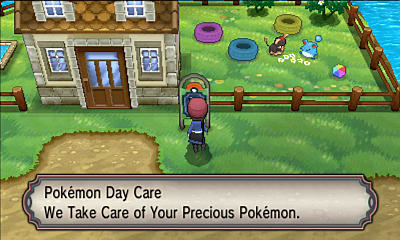 Well, the competitive scene would be barren, and the lovable creatures would have a lot less fun. 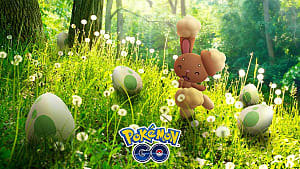 Since Pokemon Gold and Silver, players have had the ability to take two Pokemon, leave them at a daycare center, and, if the two are comparable, they'll make an egg. Whether you look up compatibility charts or just breed everything with your omnisexual Ditto, breeding is an excellent way to either get more competitively viable Pokemon, or even try to get shiny Pokemon. Breeding seems to be a purely sexual relationship between the Pokemon, but even if neither party is capable of expressing their emotions, deep down, they may just be there. Or not. Either way, YOU reap the profits! Tonio and Alice met when they were young, and they have been close ever since. Throughout the film, their relationship is put to the test by... well, nothing. Really, they introduce a rival character for Tonio in the form of Baron Alberto, but he's actually just a comic relief character. The truth is that their relationship, while not lacking chemistry, is a bit flat. They love each other at the beginning of the film, and they love each other at the end of the film. This would be a rather sour note to end this look back on Pokemon romance on. Thankfully, I've saved the best for last. So far on this list, we've had: soul mates, puppy love, a weird combination of a somewhat overly in love couple and a couple that created a broken home, pure animalistic feelings, and a couple who are pretty much best friends. The relationship between Professor Kukui and Professor Burnet is very different: they are partners. These two are equally intelligent and have perfect chemistry. 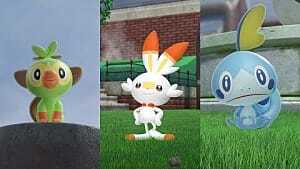 Just through their fairly minimal dialogue in Pokemon Sun and Moon, we get to know each of their individual personalities, and see first hand how much they love each other. One studies Pokemon attacks, and the other studies the Dream Radar. They both have their own professions, and yet they assist each other in all of their endeavors. 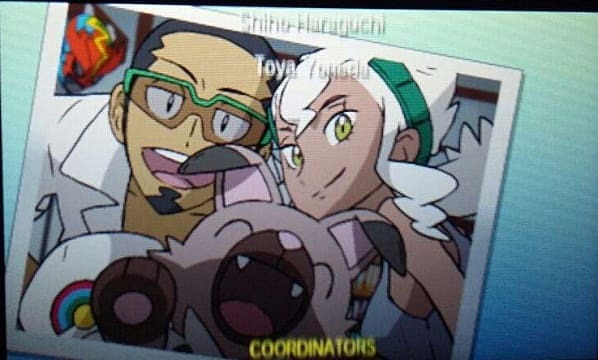 Kukui and Burnet are a perfect couple -- something all of us can hope to achieve.